For balloon décor it is based on what we are delivering and where the location is. 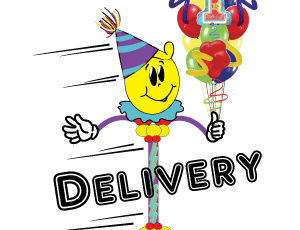 In the city of Lubbock, we delivery for free on balloon décor as long as the order is 149.00 or greater. The order of $149.00 is for balloon décor or rentals only. We do have delivery 7 days a week.